Those are some great things to be in love with! You're so funny -- sorry you chopped yourself out of the kitchen. I used to follow Brooklyn Tweed. I'd follow it again if he'd publish the pattern for that adorable little snowman had he made several years ago LOL! Never watched a single one of those shows:( Darn, I will have to catch up! Have a blessed day and that shawl is adorale! Would feel good today! HUGS! I watch the Food Network off and on. I used to watch it religiously but then I was collecting all kinds of recipes and doing nothing with them so I stopped. that shawl is super cute. I love Chopped and Cupcake Wars but hubby is sick of the competition shows. I do tape them from time to time. I really love Sense and Sensibility! One of my favorites! I'm not familiar with the food shows, but I do own S&S and love that adaptation! I love Jared, too, and am amazed he developed a line of yarns. I'm anxious to try it! never watched that show but maybe will need to check it out. next time you visit me in SF, we will go to a interesting ice cream shop where the flavors are very unusual. three days until move day. wishing you an easy move. i am excited for you. change is good. i have been painting on my collaborative art piece this week. fun and interesting! my ATCs are done and ready to mail. 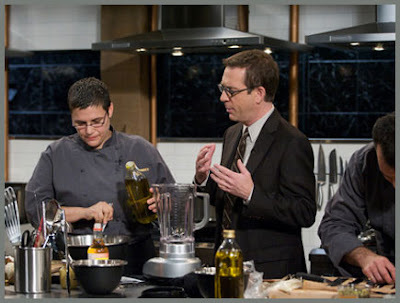 I agree I love 'Chopped' because they have to be creative with those weird ingredients. I'll have to check out that Masterpiece, I love the Emma/Kate version and own the DVD but will want to see this one, too! Thanks for the 'heads up'. 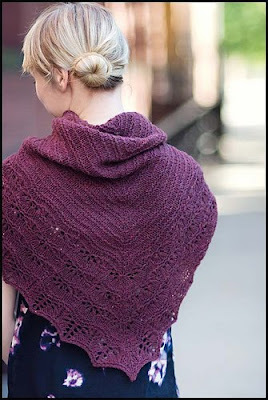 And that shawl is yummy!